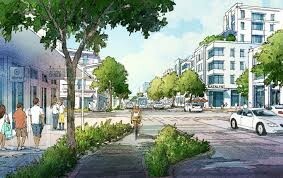 The first new development project under the recently approved North Beach Master Plan is one step closer to reality. This week, the Planning Board gave unanimous approval to a 179-room hotel between 71st and 72nd Streets on Collins Avenue. Specifically, the hotel is in the Town Center area where height allowances were recently increased from 75 feet up to a maximum 125 feet. Architect Luis Revuelta said the proposed project includes 2,300 square feet of meeting rooms, a 134-seat bar or lounge, and 23,000 square feet of ground floor retail uses “on a block where there is no retail activation west of Collins Avenue.” The design is meant to draw pedestrians into the retail areas through the use of setbacks and two plazas. City code calls for setbacks of 5 feet, but the architect says this building has setbacks of 10 feet or more to create a more welcoming, comfortable, walkable environment. 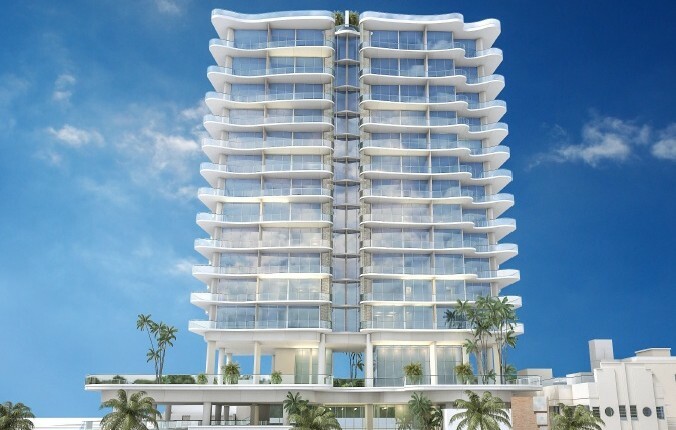 A couple of features highlighted by Revuelta include a ground floor with extra height to accommodate for future sea level rise and a mural on a portion of one side of the building. “The project is located in such an important place in Town Center that it’s almost a gateway, so the pressure is on us to try to create a very symbolic project for North Beach,” he told the Planning Board. Developer Silvia Coltrane said, “I made a decision to bring to this town a mid-price hotel. There’s a lot of high-end hotels that are being built on the ocean … and I think this project will be … something different for the area, a brand new hotel that is going to be family-oriented.” She noted that half the rooms will be double queen to accommodate families traveling with children. She has talked with several of the major hotel flags to manage the property and “everyone is very excited about this corner,” she said. 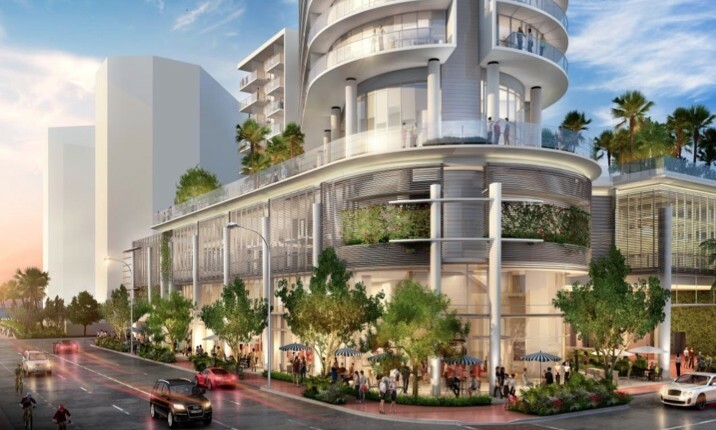 With regard to the retail, she indicated that instead of focusing on the Collins Avenue side, they focused on 72nd Street to provide continuity to what is already in the 71st Street area. The project now moves on to the Design Review Board on Jan 3. Design standards for Town Center here. Have a comment about this project? Send an email to Planning Director Tom Mooney.